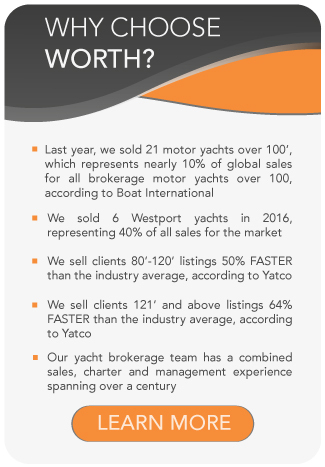 All Burger yachts for sale worldwide are listed below, scroll down to view them. Established in 1863 and based in Manitowoc, Wisconsin, Burger builds handcrafted custom luxury yachts in marine-grade aluminum alloy or steel. Burger’s history includes an extensive range of vessels up to 200 feet (60 meters) in length, developed in collaboration with world-renowned naval architects and yacht designers, such as Greg Marshall, Donald Blount and Associates, Cor D. Rover Design, Vripack, Ken Freivokh, and more. While each yacht built at Burger’s shipyard shares the same quality craftsmanship, reliability, and technology, no two yachts are the same. Owners of Burger-built yachts choose every detail to create their own custom yacht, from authentic replicas of the golden age of yachting to sporty enclosed-bridge motor yachts and wheelchair-accessible contemporary vessels. Examples of this can be seen throughout Burger’s history and in its most recent yachts: Tò-Kalòn, Ingot, and Sycara IV. Each new yacht shares Burger’s attention to detail, yet all have very different personalities as conceived by their owners. Tò-Kalòn, a 101-foot (31-meter) enclosed-bridge motor yacht, sports a hull design by Donald Blount and Associates and boasts a top-end speed of 30 knots. Cor D. Rover Design created her sleek and contemporary style. Ingot, Burger’s flagship, represents 153 feet (47 meters) of finely crafted, full-displacement luxury. Vripack designed and engineered, Ingot is one of the few wheelchair-accessible superyachts featuring an elevator that travels among all four decks. Sycara IV is a 151-foot (46-meter) 1920s retro-styled classic fantail motor yacht that is paired to state-of-the-art systems for worldwide travel and a low profile design for river cruising. Sycara IV features an interior from the studio of award-winning designer Ken Freivokh. Burger superyachts Sycara IV, Top Time, and Silver Seas are available for charter. Contact us today to explore our available Burger yachts for sale, or to discuss a Burger new-build.